As you guys know, I am currently in the USA visiting my family for Christmas/New Year and a little bit extra. In the town where my parents live, it’s really hard to find gluten free and vegan food that is also healthy and figure friendly. Yeah I could eat gluten free pasta with tomato sauce at an Italian restaurant, but talk about carb overload and lack of protein. And I could order a salad without meat, but I’d just end up getting iceberg lettuce with some shredded carrots. 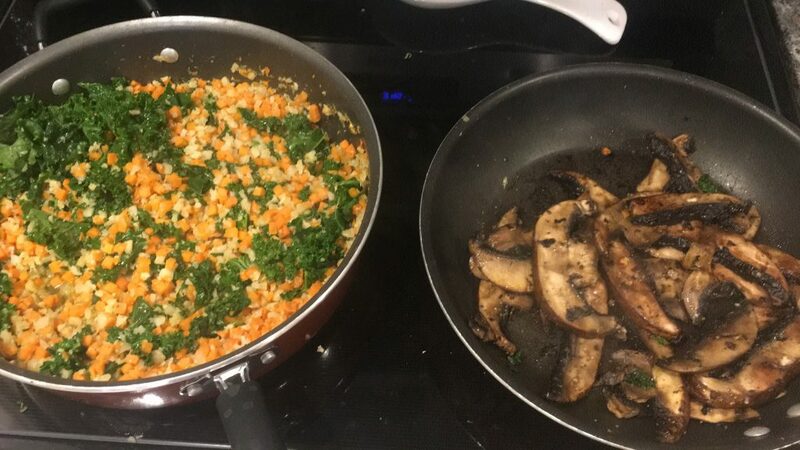 It’s just always better when I cook at home. A few days ago I had 2 of my best friends over for lunch. One of them is completely vegan and the other really tries to limit her meat intake. 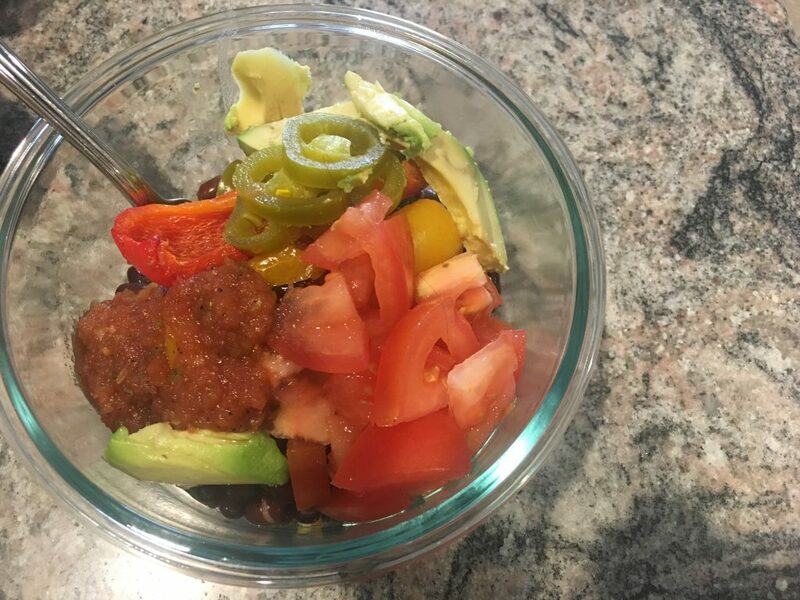 As for me, you guys know that I don’t eat very much meat and I don’t eat dairy at all…So, this healthy burrito bowl recipe I created was absolutely perfect for all of us. I absolutely love Mexican food and I really miss it living in Austria because it’s really hard to find authentic Mexican cuisine. But, when I am home in California, I also have to be careful that I am not choosing something super greasy and fried, with tons of cheese or gluten – so at-home cooking is my favorite way to eat Mexican food. 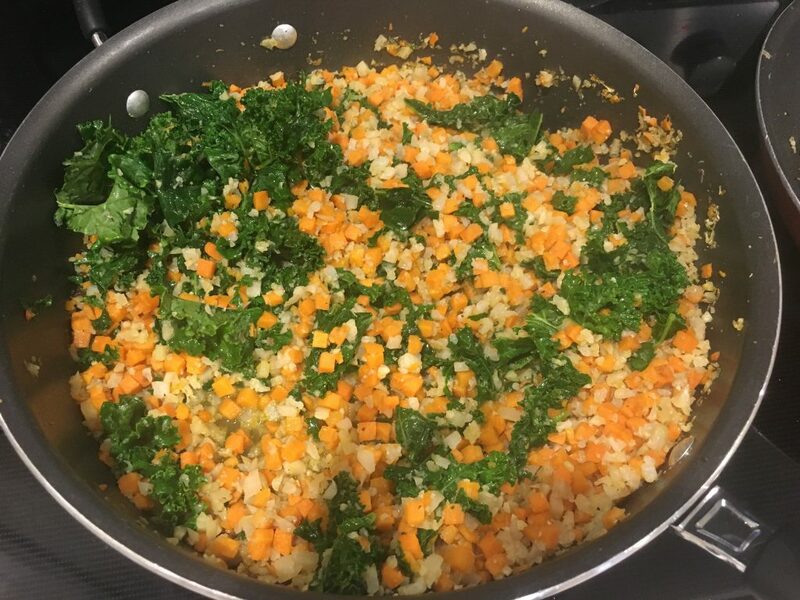 ** The variety I found was a cauliflower & sweet potato “rice” mixture (seen below) already pre-packaged. However, I know this isn’t very easy to find in Europe where I live. If you cannot find this already packaged, you can just chop a head of cauliflower into forths and pulse it in a blender or use a knife to cut it into really small “rice” pieces. Saute cauliflower rice in 1 Tbsp avocado oil for about 5 minutes. 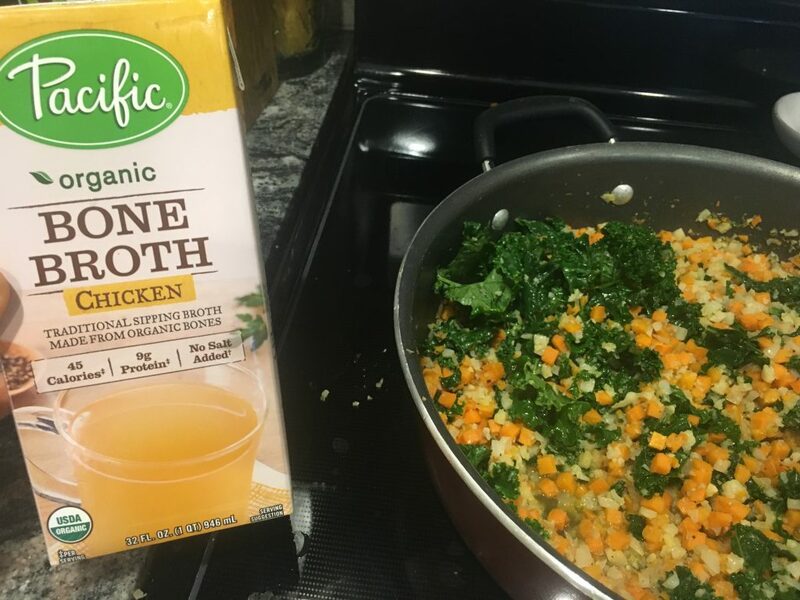 Add bone broth and kale and then turn on low and let simmer for 15-20 minutes. If you don’t have or don’t want to use bone broth, you can just keep sauteing without. It just might take a bit longer to soften. Saute bell peppers and portobello mushroom in the remainder of the avocado oil with a dash (or two) of Mrs. Dash garlic seasoning, salt & pepper in a pan until tender. We all absolutely loved this recipe – even if I do say so myself. 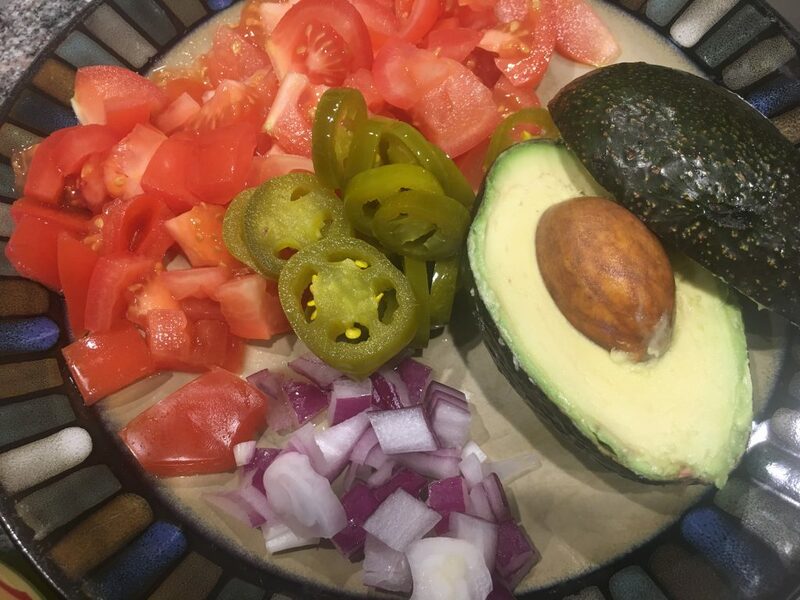 Plus, I made enough for 4 servings so I had a little bit leftover for a burrito bowl the next day 🙂 It’s great to prep all these ingredients in advanced and then you can whip together a burrito bowl in no time! So, you know what to do. Send me a tweet and let me know if you’ve whipped up this healthy burrito bowl – I can’t wait for you to taste it!